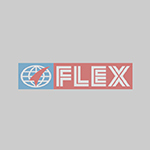 Flex Films || Speciality Films - The Perfect Solution for Flexible Packaging Converters! Our wide range of Specialty Films brings about the real value addition for the convertors by enhancing the quality and functionality of the ensuing packaging making it a win-win for brands and consumers alike. Properties: F-STF film has an engineered-micro surface texture giving a unique and luxurious feel. Suitable as a outer web in many packaging laminations, F-STF film gives brand owners a new capability in the production of consumer centric packaging. The backside of F-STF is easily printable with traditional converter inks or new digital print technologies. Properties: The film is one side Corona Treated with one side Untreated or both sides Untreated. Application: Flexible packaging, Solvent & Water base coating. Properties: The film has one side Untreated with the other side being Corona Treated or both sides Untreated. Application: Printing, Lamination, Bags & Pouches. Properties: Base polyester is a specialized design for high adhesion when metalized. Application: Snacks, Dried Meats & Nuts, Foil replacement and Hot and Warm Fill. Properties: Base polyester is a specialized design for ultra high barrier when metalized. Application: Flexible packaging & Lamination. Properties: F-PAM is a transparent polyester film, Both sides of the film are Untreated. Application: Mining, Flexible packaging & Solvent & Water base coating. Properties: Base polyester is one side Standard Primer Coated with the other side Corona Treated. Properties: The film is either both sides Untreated or has one side Untreated with the other side being Corona Treated. Properties: This film is designed with a special surface suitable for direct digital printing without any offline coating. Application: Film is designed for direct Digital printing with HP Indigo press. Properties: This grade of polyester film is specially designed for Twist wrap application .This film is available in one side antistatic chemically coated and other side plain (UT) or Corona Treated ( CT).The non coated side is available in plain ( F-TST-ASU) and corona version ( F-TST-ASC). Application: The film is used of Twist wrap & Candy application for cold and hot twist. Properties: This is a transparent UV stabilized polyester film . Application: UV protect flexible packaging. Properties: This grade of film is a co-extruded UV stabilized polyester film having one side heat sealable layer. Application: Film is suitable for FRP application. Trendsetter for the Art and Science of Converting!!! © 2019 Flex Films. All Rights Reserved.